In the year 2013 knowingly or unknowingly, if I have hurt your conscious with my actions, speech, thoughts or writings, please forgive me. Quite often we annoy people unknowingly and that keeps on disturbing the relationship between two souls. Over the years, I have learnt and am still learning ways of non–violent communication, which means no gossip, no criticism, no complaints and no condemnation. I define gossip as talking about someone in his or her absence and which is not based on facts and is without any source or reference. Sudden cardiac death of any cine star can create waves of fear in the mind of anyone. In the last one week, I have received at least 20 inquiries related to how to predict and prevent sudden cardiac death. My formula is very simple. If your blood sugar, blood cholesterol and blood pressure are normal; if you can climb two flights of stairs or walk 2 km or perform exercise in the bed with your partner without any discomfort in the chest or breathlessness, you are not going to die suddenly of a cardiac arrest in the next 10 years. This is a rough formula which can be used to give clearance to people to join competitive games, join a gym, go to Amarnath Yatra or get married in middle age. It is a well known saying that when you are arguing with a wrong boss, you may win the argument but you may invariably lose the relationship and not the argument. Lord Krishna taught us when to say ‘sorry’ even if you are not at fault. Never hurt the ego of a person who is under influence of alcohol or a boss when he is angry. "I beat him" of course, he didn’t even know we were racing. After I passed him, I realized I had been so focused on competing against him that I had missed my turn. I had gone nearly six blocks past it. I had to turn around and go all back. Isn't that what happens in life when we focus on competing with co–workers, neighbors, friends, family, trying to outdo them or trying to prove that we are more successful or more important? We spend our time and energy running after them and we miss out on our own paths to our God given destinies. The problem with unhealthy competition is that it’s a never ending cycle. There will always be somebody ahead of you, someone with better job, nicer car, more money in the bank, more education, better behaved children, etc. But realize that "You can be the best that you can be; you are not competing with no one." Some people are insecure because they pay too much attention to what others are doing, where others are going, wearing & driving. Take what God has given you, the height, weight & personality. We all enjoy with our own destinies. New organ donation message boosts registration: A clinical trial conducted in the UK tested a series of messages to which people were directed after renewing their vehicle tax or registering for a driving license. During the 5-week trial, more than 1 million people viewed one of the messages. The most successful read: "If you needed an organ transplant, would you have one? If so, please help others." The results suggest that the message could lead to 96,000 extra registrations in one year. Buttonhole cannulation in routine clinical practice? In a CJASN analysis of clinical outcomes in 90 home hemodialysis patients, buttonhole (blunt needle) cannulation of vascular arteriovenous fistulae was associated with higher rates of infectious events, increased staff support requirements, and no reduction in surgical fistula interventions compared with traditional rope ladder (sharp needle) cannulation. Smoking and consumption of animal products linked to cancer: Following have correlations with various cancers: lung cancer incidence rates (direct correlation with 12 types of cancer), energy derived from animal products (direct correlation with 12 types of cancer, inverse with 2), latitude (direct correlation with 6 types, inverse correlation with 3) and per capita GDP (5 types). Life expectancy and sweeteners directly correlated with 3 cancers, animal fat with 2, and alcohol with 1. The findings are published in Nutrition. Testosterone level affects flu shot response: Men with high testosterone and a certain gene cluster may not experience an antibody response after a flu shot. Men with higher levels of serum testosterone had a mean 81% lower antibody response to the flu shot compared with women, while men with lower levels of testosterone had only a 13% lower response. The findings are published online in the Proceedings of the National Academy of Sciences. USPSTF recommendations for lung cancer screening: The US Preventive Services Task Force (USPSTF) recommends annual screening for lung cancer with low–dose computed tomography (LDCT) for adults between the ages of 55 to 80 years who have a 30 pack–year smoking history and who currently smoke or have quit within the last 15 years. Screening should be discontinued once a person has not smoked for 15 years or has developed a health condition that will substantially limit life expectancy or the ability or willingness to undergo curative lung surgery. The guidelines are published December 31 in the Annals of Internal Medicine. Dr. Asim Cheema, an interventional cardiologist at St. Michael’s Hospital in Toronto has advised aspiring transradial interventionists under the guidance of an experienced practitioner; perform simple cases in lower–risk patients and progress to more difficult cases as expertise builds. It’s best to start with a solid foundation in transfemoral PCI, and begin using the radial approach in stable patients who have single vessel disease and are presenting for angiography or some other elective procedure, he said at the18th World Congress on Heart Disease. In the transition from transfemoral to transradial PCI, one should not hesitate to "switch to femoral access in case of unusual anatomy, technical difficulties. An investigational tissue–engineered vascular graft has enduring potential for vascular access for hemodialysis in patients with end–stage renal disease, based on early clinical results. The results from the first–in–man, ongoing phase I clinical experience with the Humacyte graft, which to date has been implanted to provide vascular access for hemodialysis in 28 patients, with 6–month patency as the primary study endpoint were presented at the American Heart Association scientific sessions. The overall 6–month patency was 100%, with no infections, no sign of an immune response, and no aneurysms or other indication of structural degeneration. Children with higher–frequency hearing loss due to tympanic membrane (TM) perforation are unlikely to have significant recovery in this range after type I tympanoplasty, according to a study in JAMA Otolaryngology –– Head & Neck Surgery. According to a research from UK, in infants with less than 29 weeks of gestation, postnatal head growth in the first 28 days can be improved by adding macronutrients to standard parenteral nutrition (PN). The findings are published in the journal Pediatrics. Infants of this gestation should start parenteral nutrition as soon after birth as possible. Delayed nutrition means postnatal head growth failure is almost inevitable. Postnatal head growth and brain weight are closely associated, and poor head growth is associated with poorer neurodevelopment. A research published in the British Medical Journal has shown that eating blueberries, apples and grapes may be linked to a reduced risk and type 2 diabetes. However, increased consumption of fruit juice was linked to a higher risk. The well–known saying that eating an apple a day keeps the doctor away is true from this study especially green apples, which are known to be more health–friendly then the red apples. 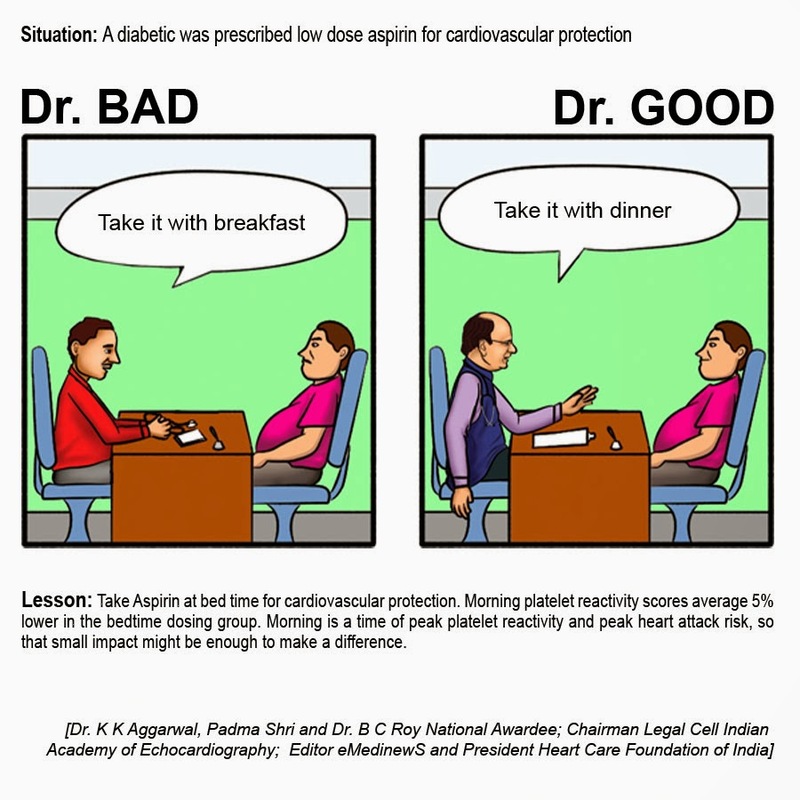 In heart patients or in patients who are at high risk for heart attack and who require high dose of painkiller, one should not use ibuprofen or diclofenac. 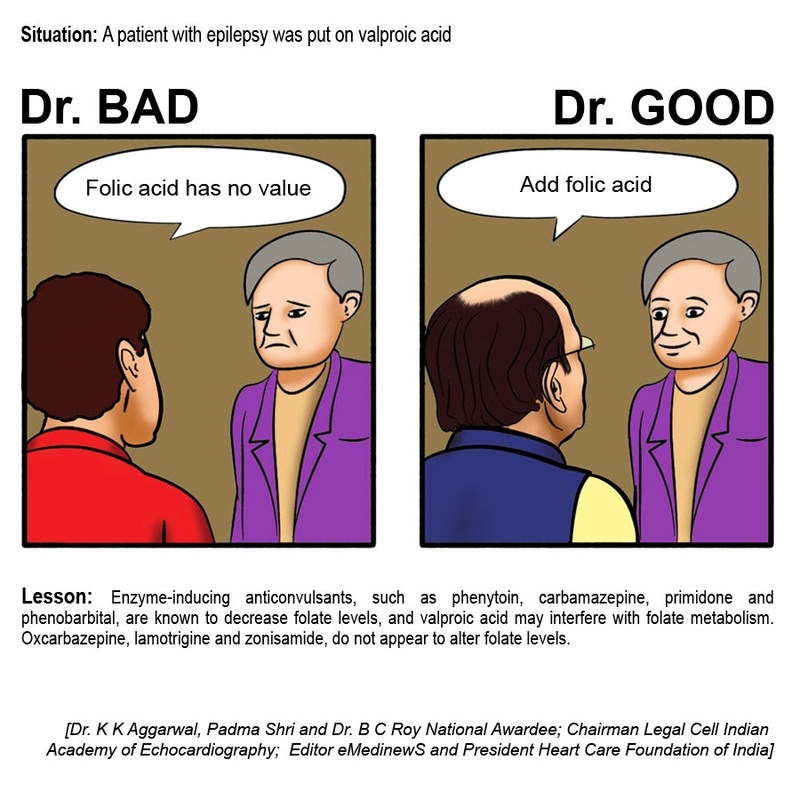 The safest painkiller for heart patients is Naproxen, said Padma Shri and Dr. B. C. Roy National Awardee, Dr. K K Aggarwal, President Heart Care Foundation of India. Most non–steroidal anti–inflammatory drugs increase the risk of heart attack. High dose of diclofenac increases chances of no fatal heart attack, no fatal paralysis and vascular death by 40%. High dose of Naproxen has no effect on vascular motility. In high–risk patients, use of high–dose long–term ibuprofen or diclofenac can lead to 8 extra events per thousand patients used per year including two fatal events. Dr Avtar Krishan, Dr Bitaan Sen & Dr Jayashree Sen, Daivadheenam, Muthumperumal Thirumalpillai. Correct answers received from: Dr K Raju, Dr Prakash Khalap. Q. What are the present status, strengths and weaknesses of Medicare Protection Act? After the Andhra Pradesh Medicare Service Persons and Medicare Service Institutions (Prevention of Violence and damage to property) Act, 2008, was passed, 17 more states have passed similar Acts, the latest being Goa in 2013. Some of these are: Delhi, Haryana, Madhya Pradesh, Maharashtra, Orissa, Punjab, Rajasthan, Tamil Nadu, Tripura and West Bengal. Most of the above state Acts are very similar in nature. Their provisions are quite stringent. Some of these are described below (in relation to the Tamil Nadu Act). "(3) "property" means any property, movable or immovable or medical equipment or medical machinery owned by or in possession of, or under the control of, any medicare service person or medicare service institution;"
(4) "violence" means activities of causing, any harm, injury or endangering the life or intimidation, obstruction or hindrance to any medicare service person while discharging his duty in the medicare service institution or causing damage or loss to the property. "3. Any person either by himself or as a member or as a leader of a group of persons or organization, commits or attempts to commit or abets or incites the commission of any act of violence shall be punished with imprisonment for a term which shall not be less than three years but which may extend to ten years and with fine. 4. Any offence committed under section 3, shall be cognizable and non bailable." "5. (1) In addition to the punishment specified in section 3, the person shall be liable to pay compensation for the damage or loss caused to the property, as determined by the court. (2) If the person has not paid the compensation under sub–section (1), the said sum shall be recovered under the provisions of the Tamil Nadu Revenue Recovery Act, 1864 as if it were an arrear of land revenue." The main weakness is not in the Act but in its implementation. Very often it happens that when a complaint of violence in a hospital is made to the police, the FIR is not registered under the Medicare Protection Act. The medical profession needs to be vigilant to ensure that the provisions of the state Medicare Protection Act are invoked when the police register an FIR. The best strategy is to write in the police complaint itself that necessary action may be taken under the state Medicare Protection Act. If there is no such an Act in the state, the state IMA must pressure the government to pass such an Act/ordinance. 1—Modification of the second part of the preamble to include injury to the body of such persons and to the reputation of such persons or institutions. 2—Modification of the definition of the term "Medicare Service Institution" by substituting the definition of the term "clinical establishment" in the CEA, 2010. 3— Modification of the definition of the term "violence" in section 2(4) to include violence while going to such institution for performing duty or returning from such institution after performing such duty. (This would include incidences like the recent attack in Punjab on the well –known cardiologist Dr. Wander who was returning after examining a patient in the hospital). 4—Quantifying fine in section 3 as minimum Rs. 10,000/– and maximum Rs. 5 lakh. 5—Modifying section 5(1) to include injury to body and damage to reputation. A police car pulled me over near the high school where I teach. As the officer asked for my license and registration, my students began to drive past. Some honked their horns, others hooted, and still others stopped to admonish me for speeding. "I think you’ve paid your debt to society," he said with a smile, and left without giving me a ticket. Beautiful things are not always good, but good things are always beautiful!